BVS London » Bagni di Pisa and Grotta Giusti are the perfect locations for discovering Tuscany’s summer arts and entertainment events. That’s why the Italian Hospitality Collection have crated the perfect offers for “Teatro del Silenzio” the wonderful musical evening hosted every year by Andrea Bocelli at Lajatico in the Tuscan Hills. “Teatro del Silenzio” will be staged for the thirteenth time on Saturday 28th July 2018. Maestro Bocelli will be accompanied by a symphony orchestra, a chorus and an outstanding cast of artists from around the world. Both Bagni di Pisa and Grotta Guisti are located just a one-hour drive from the amazing Teatro del Silenzio in Lajatico. Discover your favourite hotel, choose one and let the Italian Hospitality Collection take care of you. Choose Bagni di Pisa on the hills of Pisa, the thermal residence of the Grand Duke of Tuscany amongst historic lounger, rooms with marvellous views of the Leaning Tower and the regenerating power of the natural hot spring. Bagni di Pisa 3 night special package includes buffet breakfast, pre-concert aperitif and transfers to Teatro del Silenzio, dinner one evening at restaurant dei Lorena (excluding beverages), spa and thermal pools access, Grand Duke Hamman, body massage and morning hike (Monday – Saturday) from €671 in a Comfort Room. Rate subject to availability. Terms and conditions apply. Rates per person per package in double room from 26-29th July 2018. Or reserve your stay at the newly renovated Grotta Giusti, between Lucca and Florence, a 19th Century villa on Europe’s biggest natural thermal cave. 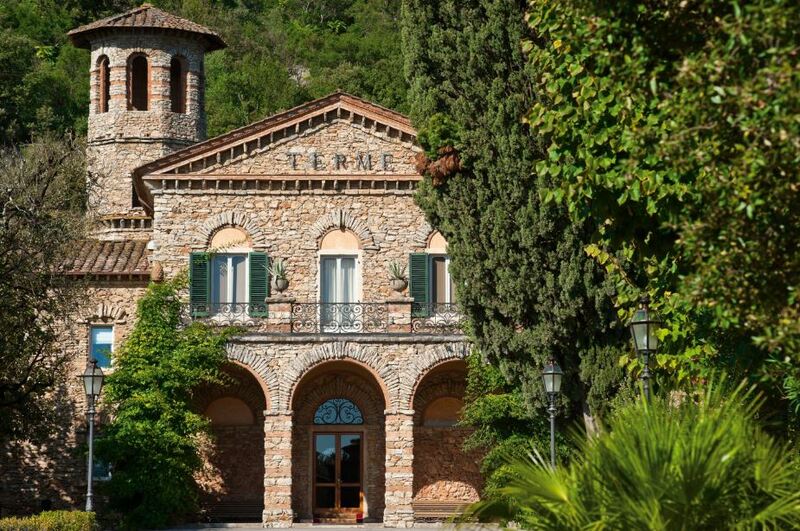 You will enjoy the beautiful Tuscan countryside, the regenerating power of the thermal water and an enchanting millennia private park surrounding the villa. Grotta Giusti 3 night special package includes a buffet breakfast and aperitif at the hotel before organised transfer to the concert, dinner one evening in-house (excluding beverages), pampering at the thermal spa, access to fitness centre and a guided morning hike (Monday – Saturday), one thermal steam in the natural grotto and one anti-stress massage from €632 in a Comfort Room. Discover more and book today!